SCOPE Education services recently introduced a virtual, interactive online college preparatory program in New York State. SCOPE Education Services recently introduced a virtual, interactive online college preparatory program in New York State. Utilizing the latest web conferencing technology, students can study and prepare for the SAT, PSAT or ACT exams at their convenience and from the comfort of their homes. “We are extremely excited to announce this real-time online approach to college prep courses,” said Director of SCOPE Education Services George L. Duffy III. Through the use of voice, video and instant messaging, the new virtual classrooms offer year-round courses for all Long Island high school students. 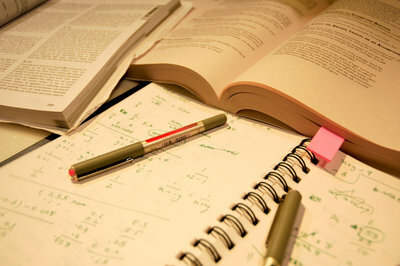 Classes are taught real-time by experienced teachers from across Long Island and coincide with College Board test dates. The SAT course offers 21 hours of live instruction in reading/vocabulary, grammar/essay writing and math with separate teachers for verbal and math and a custom student workbook (downloaded) with actual SAT questions. The PSAT course offers 15 hours of instruction in critical reading/vocabulary, grammar and math with separate teachers for verbal and math. The ACT program offers 15 hours of live instruction in critical reading/vocabulary, grammar, science and math with separate teachers for verbal and math/science. Each of these courses also offers a custom downloaded workbook. A desktop or laptop with high speed internet access and Active X or Java is required for each course, along with a headset with microphone. Students must also purchase a textbook separately. For more information regarding the SAT, PSAT and ACT programs or to register for classes, visit the SCOPE website. About SCOPE: Founded in 1964 by school superintendents, SCOPE focuses on issues of importance to parents and teachers and provides, among others, education and enrichment programs, child care programs and student workshops. It also makes vital information and resources available through speakers, bureau presentations and publications. The organization is chartered by the New York State Board of Regents and governed by a Board of Directors made up of school superintendents and college representatives. Planning To Apply To College? You Need A College Planner! Honoring Our Uniformed Services: All 15! Subject: LongIsland.com - Your Name sent you Article details of "SCOPE Education Services Launches Virtual College Prep Courses"